On October 26, 1972, aviation pioneer Igor Ivanovich Sikorsky died at his home in Easton. Founder of the Sikorsky Aviation Corporation, Sikorksy moved the company to Stratford in 1929, and established it as a major player in aviation design with the twin-engined S-38 amphibian aircraft. The S-38 enabled Pan American Airways to open air routes into South America and the Caribbean that paved the way for the development of commercial air travel. 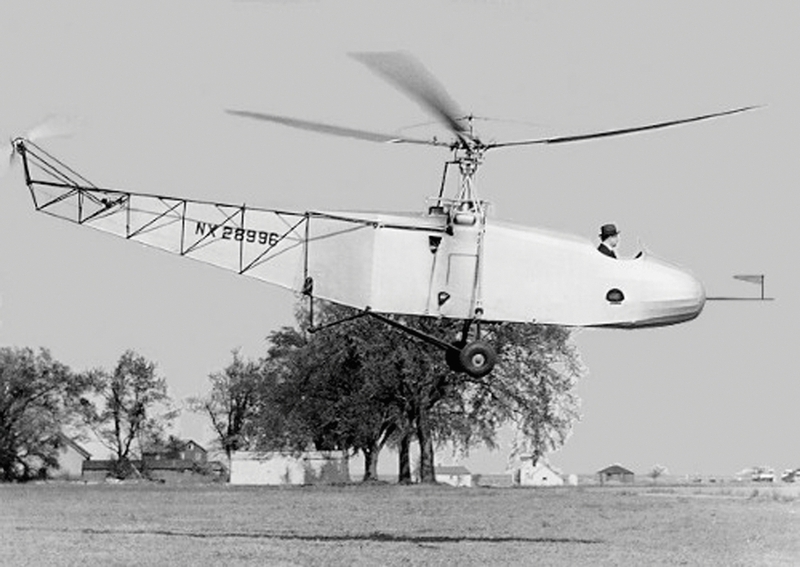 A gifted aeronautical engineer and determined to solve the problem of vertical flight, Sikorsky is credited with designing the world’s first practical single-rotor VS-300 helicopter in 1939, the basis for the later XR-4 design that was the first successfully mass produced military helicopter and an invaluable tool in search, rescue, and supply missions. Always the pioneer, Sikorsky insisted that he fly the trial flight of any new design himself, and his company captured many world aviation records including the first flight over the Andes Mountains, the first trans-oceanic air service, the longest-range commercial aircraft, and numerous altitude records. Sikorsky, Igor I. Patent Number 1,848,389 - Aircraft of the Direct Lift Amphibian Type. 1848389. Nichols, CT, issued March 8, 1932. Link. Sikorsky, Igor I. Patent Number 1,879,716 - Amphibian Aircraft. 1879716, issued September 27, 1932. Link. Sikorsky, Igor I. Patent Number 1,994,488 - Direct Lift Aircraft. 1994488. Nichols, CT, issued March 19, 1935. Link.